Redesigned iPhone 4 Due out September 30? It has been a few weeks since the Apple’s antennae-gate issues were last discussed, so we were due. A new rumor based on a somewhat unconfirmed report on a Mexican website is reporting that the iPhone 4 will no longer face the antennae problems as of September 30. Marco Quatorze, Director of Value Added Services Telcel said that as of September 30 Telcel will be available in new devices that do not have the malfunction of the reception, and explained that the company will have several options to make changes from one phone to another. Business Insider is also covering the story, but still, take the quote with a grain of salt. There could be more to his meaning, or the quote could be incorrect, but it does coincide with the end of the Apple plan to send out free bumpers to iPhone owners. 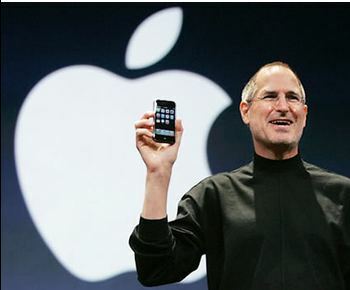 When the bumper plan was announced, Steve Jobs gave an end date of September 30. It makes sense that since Apple first announced the bumper plan on July 16, the Apple designers would have had time to fix the issue. After all, despite Apple’s initial stubborn refusal to acknowledge the issue, it is highly unlikely that Apple would knowingly choose not to correct an issue that has already been exposed, especially one that has a fix as simple as insulating the casing. The real issue is how will current iPhone 4 users respond, and will Apple offer them any potential exchanges? It seems unlikely following the bumpers. Will iPhone 4 owners even care? What say you? Are you an iPhone 4 owner, and do you care that a slightly redesigned iPhone 4 is on the way?